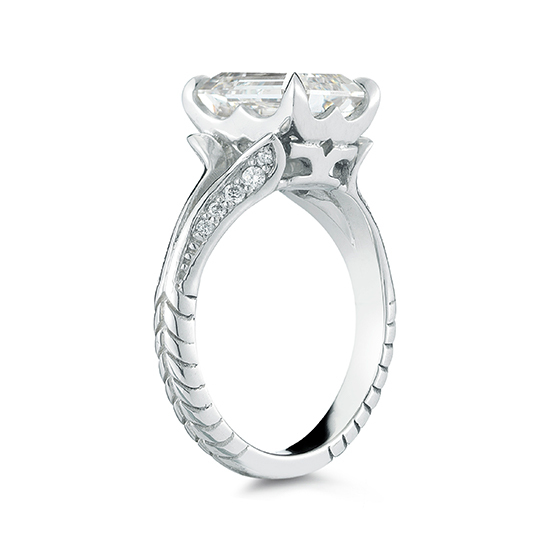 The Douglas Elliott Vintage Swirl setting features a sculpted shank with curved etching that blossoms into a fluted diamond accented design at the base of the center stone. 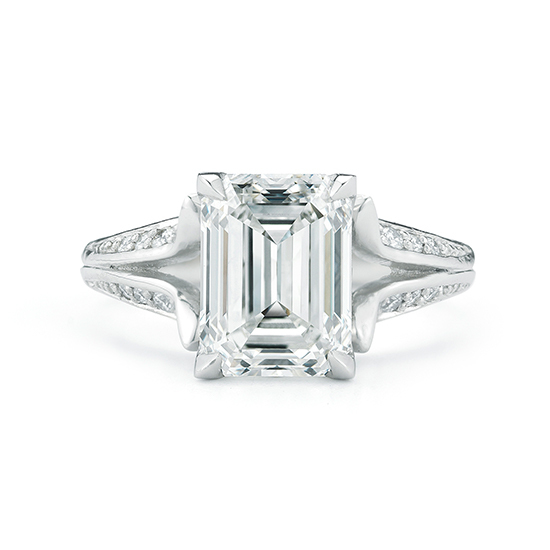 Shown set with a 2.80 carat G color VS1 clarity emerald cut diamond. This setting can be created in any stone shape beginning at 1 carat in platinum, 18k yellow gold, or 18k rose gold.